Apple is in talks with at least three private Medicare plans in regards to subsidizing the Apple Watch for people over the age of 65. The news comes from a report today by CNBC, citing sources familiar with Apple's plans. The discussions are centered around subsidizing the cost of an Apple Watch Series 3 or Series 4 -- which currently start at $279 for the Series 3 38mm Aluminum version -- for older Medicare users who can't afford the cost of the device. Series 4 models would be most beneficial for elderly users, thanks to the new fall detection and ECG features. Apple's talks with the Medicare companies have not resulted in any official deals yet. The Cupertino company has paid visits to several large insurers in the market, as well as some smaller Medicare Advantage plans, but no specific names of the insurers were given. “Avoiding one emergency room visit would more than pay for the device,” said Bob Sheehy, CEO of Bright Health, an insurance start-up with a Medicare Advantage plan and the former CEO of United Healthcare. Apple Watch has been associated with insurance coverage a few times in the past, including discounted versions of the wearable offered to Aetna insurance customers. 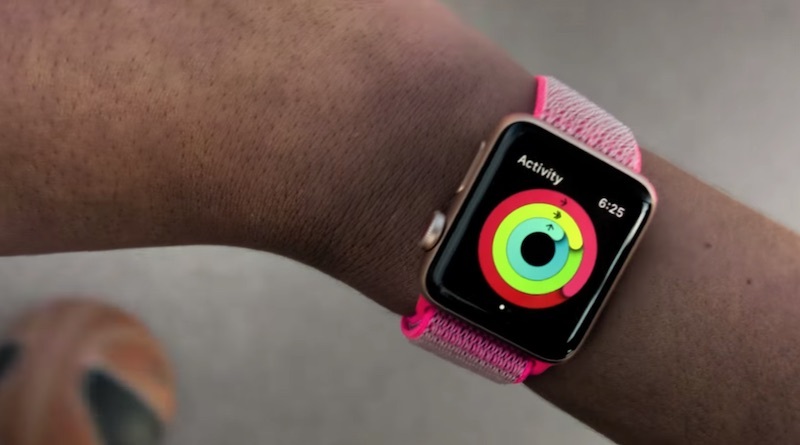 Apple's device was also integrated into the United Healthcare wellness program, providing participants access to an Apple Watch that they could use to earn up to $1,000 in incentives per year by meeting daily walking goals. How is that going to work with their flip phones? Or older gen Android phones (Galaxy S8, J7, etc.) which are what are part of those low costs $10-20/mo packages sold to seniors (see Consumer Cellular). Up to 50% of all Seniors don't have $400+ to spend on a phone. Is the $79 the Medicare co-pay? Is this supposed to be a joke of some sort? I’m 74 and have owned almost every iPhone iteration since the first. Just because we’re old doesn’t mean we use Consumer Cellular or their flip phones. It seems to me that people who are in their late 70s and older have difficulties keeping their hands steady, leading to difficulties using touchscreens... it's painful enough watching them struggle to use the keyboard on a 3.5" iPhone. I can only imagine the disaster that would be having them type in their PIN on a 38 mm Apple Watch. This sounds like a broad generalization. My mother has steady hands and still plays the piano. She’ll be 96 this month. And how many of those are hand me down iPhone 3,4, and 5 that don't run IOS11 and above required for the Watch 4. I’m 69 several people have iOS devices because I’ve handed then down to younger people, and taught them how to use the equipment. I’ve been using iPhones since version 1 and I’ve been using iPads and Apple watches since version 1 and series 0. I’ve just upgraded to 11” iPad Pro and gave my 9.7 version 1 iPad Pros to (younger) friends of the family that can’t afford to buy new ones. I’ve had Apple Watch series 0 and 2. I will be upgrading to series 4 next month. I’ve also passed my used Apple Watches to younger family members/friends who cant afford to buy new. I’m also the one who every member of the family call for advice on all computer related problems. There has been a virulent strain of agism infesting this forum for years. These people do not realize that the people they collectively believe cannot use technology forget that we are the generation that invented the PC, cell phone, etc. First, welcome to the forums and your first posts. Second, Your not the norm. Most seniors cannot afford to upgrade their phones except for every 4 or 5 years. Look at the stats. Median incomes for people in your age group is in the $40K range. Buying a new $1000+ phone every year is not within their means. Paying for food, housing, and utilities are their top priorities. And the ones that need this device the most will be the ones with the most health issues, and largest health expenses with co-pays for doctors, prescriptions, etc. eating their funds. I'm a senior with an iPhone 7 and a Series 4 cellular. From what I have observed in my area I am on the low end. Many seniors are sporting a iPhone X. Unfortunately the Apple Watch won't connect to a Jitterbug. Anecdotal but I see very few seniors with iPhones. Not sure if it’s ignorance or ageism, or both but not all seniors are in their late seventies, or infirm, or tech challenged. Medicare coverage starts at 65. Edit: Actually, I just remembered there’s an even more physically challenging part before that - actually putting it on. I’m perfectly able-bodied but it was initially taking ~5 minutes to put the watch on. It took a week before I could get it on in ~30 seconds. haha.bulk bill for senors with Apple watch.. Didn't see that one coming. But I think Apples' heading in the wrong direction... Price can be an issue for senors, but its' not the only reason. they don't buy tech,..